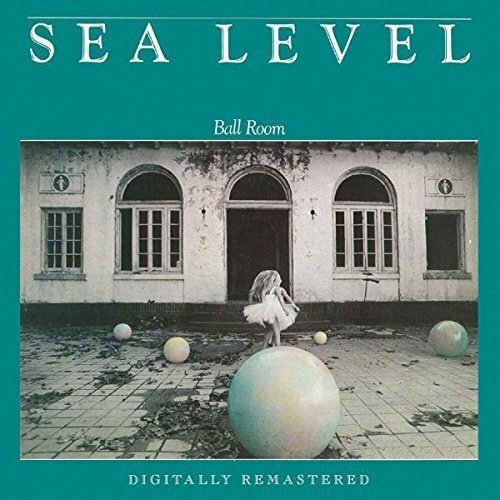 In 1980, Southern rockers Sea Level released their fifth album Ball Room, which was recently reissued by BGO Records. The release of Ball Room was a new start for Sea Level. They had been signed to Capricorn Records since the release of their eponymous debut album in 1976. 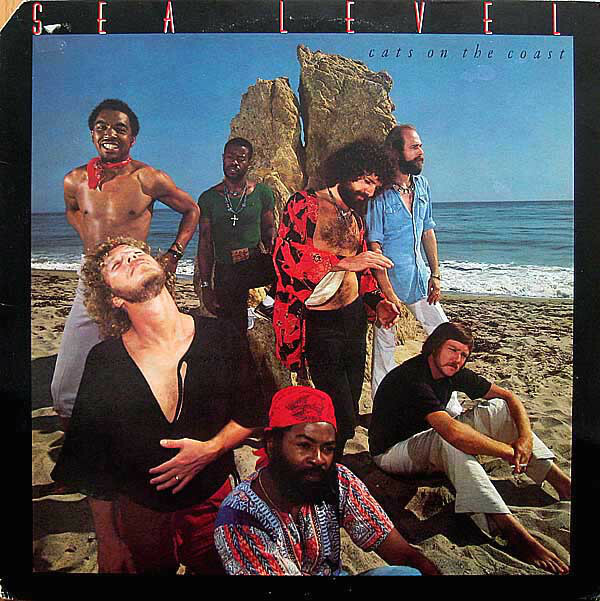 After recording four albums for Capricorn Records, Sea Level signed to Clive Davis’ Arista label. This band leader Chuck Leavell hoped was the start of a new and exciting chapter in Sea Level’s career. Much had happened since the band was founded in 1975. Several of The Allman Brothers’ had developed serious drug problems. Now that the band had more money than ever, their drug problems began to spiral out of control. This wasn’t the only problem though. Some members of The Allman Brothers were no longer as close as they once had been. It seemed the friendship had gone from the band. Greg Allman and Dickie Betts had both released successful solo albums during 1974. The following year, three other members of The Allman Brothers decided to form a new band as a side project. The the band was named We Three by its founding members. They were Jai Johanny Johanson a.k.a. Jaimoe, bassist Lamar Williams and keyboardist, pianist and vocalist Chuck Leavell. When the new band was formed they were keen to stress that We Three would work round The Allman Brothers’ schedule. They were going to be busy between August 1975 and May 1976. 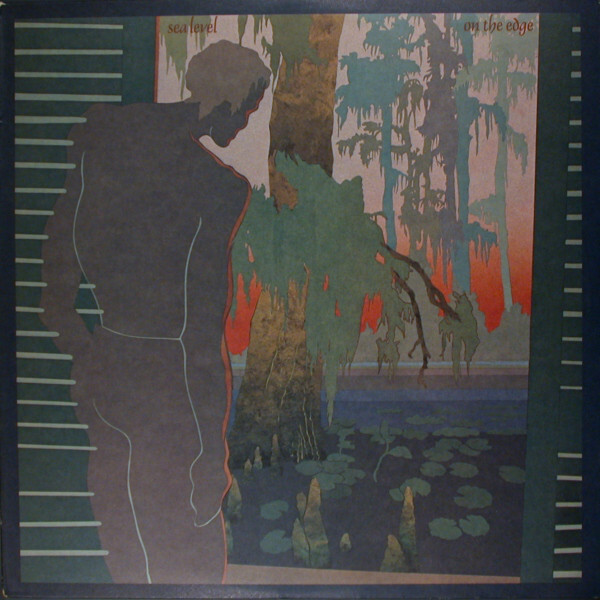 In August 1975, The Allman Brothers release their sixth album Win, Lose Or Draw in August 1975. When it was released, it didn’t receive the same critical acclaim as previous albums. Still, though, Win, Lose Or Draw reached number five in the US Billboard 200 and was certified gold. By then, the Allman Brothers had headed out on the road and were playing forty-one arena shows. Some nights, the shows were disjointed and lacklustre. It was as if the Allman Brothers were merely going through the motions. This was very different to the band that some nights opened for The Allman Brothers, We Three. Occasionally, the nascent We Three took to the stage. Those that saw the band play, were impressed by We Three. They were the complete opposite of the Allman Brothers, who some nights, looked as if they were on their last legs.That proved to be the case. For the Allman Brother, their 1975-1976 tour wasn’t their finest hour. Some nights, they didn’t even bother with a soundcheck. They just headed out on stage and seemed to be going through the motions. The band didn’t play well, and were a shadow of their former selves. What didn’t help was the excessive drug use, bad feeling between the band and death threats. The bad feeling and death threats stemmed from Greg Allman’s decision to testify in the trial of security man Scooter Herring. This didn’t go down well with the rest of The Allman Brothers. They saw Greg Allman as a snitch. Following the trial, the rest of the band stopped communicating with Greg Allman. Meanwhile, he started to receive death threats. For Greg Allman and the rest of the band, this only made a bad situation worse. In May 1976, the Allman Brothers returned from their forty-one date tour. By then, the writing was already on the wall. The Allman Brothers split-up. Greg Allman formed the Greg Allman Band; Dickie Betts formed Great Southern while Jaimoe, Lamar Williams and Chuck Leavell decided to continue as Sea Level. No longer were the three friends playing together as We Three. They had decided to changed the band’s name to Sea Level. This was a result of some wordplay surrounding Chuck Leavell’s name. His family always pronounced their surname as level. Chuck took the first initial from his christian name, and Sea Level were born. The newly named band began honing their sound. By then, three had become four. Guitarist Jimmy Nail joined Sea Level as the band headed out on tour. Over the next few weeks and months, dedicated themselves to honing and tightening their sound. Some nights, Sea Level experimented, by heading in different directions musicians. Mostly, though, they concentrated on refining, tightening and honing their sound. This paid off, and eventually, Sea Level were ready to record an album. By then, several record companies were chasing Sea Level’s signature. Eventually, the band settled on Capricorn Records, which had been home to the Allman Brothers. Once the contacts were signed, Sea Level began work on their eponymous debut album. For Sea Level’s debut album, Chuck Leavell became the band’s songwriter-in-chief. He wrote five of the eight songs. The other three tracks were covers of Edward Hoerner’s Shake A Leg, Neil Larsen’s Grand Larceny and the traditional song Scarborough Fair. These songs were recorded with one of the most successful producers of the seventies, Stewart Levine. Recording took place at Capricorn Sound Studios, in Macon, Georgia. This was familiar territory for the three members of Sea Level, as the Allman Brothers had recorded at Capricorn Sound Studios. To augment Sea Level, guitarist Jimmy Nails and a horn section were brought onboard. Meanwhile, Sam Whiteside engineered the sessions. They progressed smoothy, with Sea Level combining Southern Rock and jazz funk. Once Sea Level was complete, it was ready for release on Capricorn Records later in 1976. Before that, critics had their say on Sea Level’s eponymous debut album. Sea Level was well received by critics, who complimented the nascent band on their debut album. Despite the reviews, Sea Level failed to make an impression on the charts. Despite this, Sea Level decided to expand for their sophomore album, Cats On The Coast. Shortly after the release of Sea Level became a sextet. Drummer and percussionist George Weaver joined, which allowed Jaimoe to switch to congas. The other two newcomers were guitarist Davis Causey and keyboardist, saxophonist and vocalist Randall Bramblett joined Sea Level. The newly expanded band began working on their sophomore album, Cats On The Coast. This time round, Chuck Leavell wrote just two of eights songs, Storm Warning and Song For Amy. Davis Causey wrote Cats On The Coast and cowrote That’s Your Secret with Randall Bramblett. He penned Every Little Thing and also cowrote Had To Fall with Jimmy Nalls and Lamar Williams. The other two songs were cover versions, including Neil Larson’s Midnight Pass and Hurts to Want It So Bad which Charles Feldman, Tim Smith and Steve Smith penned. Just like their debut album, Sea Level returned to Capricorn Sound Studios. At Capricorn Sound Studios, producer Stewart Levine and engineer Sam Whiteside began work with the newly expanded Sea Level. Other sessions took place in Los Angeles, at Hollywood Sound Recorders. Gradually, Cats On The Coast began to take shape and eventually was completed. Cats On The Coast was scheduled for released later in 1977. Before that, critics had their say on Sea Level’s sophomore album. It found Sea Level switching between Southern Rock and fusion. While the album found favour with critics, Cats On The Coast passed record buyers by.While the album failed to chart, the lead single That’s Your Secret reached fifty in the US Billboard 100. It was a small crumb of comfort for Sea Level. They had released two albums, but neither had come close to troubling the charts. It was frustrating for Sea Level. They knew that there was nothing wrong with the music. Instead, it was a case of the wrong albums at the wrong time. Southern Rock was no longer as popular as it had once been. Many Southern Rock bands weren’t enjoy the success they once had. For a new band like Sea Level, trying to make a breakthrough was doubly difficult. So much so, that two members of Sea Level decided to leave the band just before work began on their third album, On The Edge. Exiting stage left were Jaimoe and George Weaver. This left Sea Level without a drummer. However, George Weaver was recruited and Sea Level continued as a sextet. Just like Cats On The Coast, several members of Sea Level contributed songs to On The Edge. Chuck Leavell wrote A Lotta Colada and Uptown Downtown, and penned On The Wing with Lamar Williams. Jimmy Nails wrote Fifty-Four while Randall Bramblett contributed This Could Be The Worst and Electron Cold. He wrote King Grand with Davis Causey. The two men also wrote Living In A Dream with Arch Pearson. These eights songs would become On The Edge. Just like their two previous albums, On The Edge was recorded at Capricorn Sound Studios, with producer Stewart Levine and engineer Sam Whiteside. This was the third lineup of Sea Level they had worked with. However, they were all experienced musicians, and the recording sessions went to plan. Some additional sessions took place at The Hit Factory, in New York. After that, On The Edge was ready for release later in 1978. Prior to the release, critics received their advance copies of On The Edge. They discovered an album where Sea Level switched between and combined elements of Southern Rock, fusion and jazz-funk. It was a slick, accomplished and well produced band that featured a tight and talented band. Praise and plaudits preceded the release of On The Edge. Despite this, the album failed commercially and didn’t come close to troubling the charts. For Sea Level, it was yet another disappointment. Long Walk On A Short Pier. Despite the commercial failure of On The Edge, Sea Level weren’t about to give up. They began work on their fourth album Long Walk On A Short Pier. Chuck Leavell wrote two new songs for Long Walk On A Short Pier, Tear Down This Wall and Just A Touch. Lamar Williams penned Just A Touch, while Jimmy Nails wrote Twenty Miles From Nowhere and penned A Two ’n’ Two with Davis Causey. He contributed Canine Man and Thirsty, and then wrote Morning Light with Randall Bramblett. The other song was a cover of the Weaver-Walker composition Too Many Broken Hearts. With the material for Long Walk On A Short Pier complete, Sea Level made the journey to Macon, Georgia. They were joined by a new band member percussionist and conga player David Earle Johnson. When Sea Level arrived at Capricorn Sound Studios, nothing seemed to have changed. The studio looked the same as ever. However, this time, Sea Level were going to co-produce Long Walk On A Short Pier with engineer turned producer Sam Whiteside. He had engineered Sea Level’s three previous albums, so knew how the band worked. Sam Whiteside had served his apprenticeship and was ready to step out of Stewart Levine’s shadow. Despite his promotion to co-producer, Sam Whiteside still engineered Long Walk On A Short Pier. He brought David Pinkston onboard, to assist him with his engineering duties. They watched on as Sea Level switched between Southern Rock and fusion on Long Walk On A Short Pier. The music seemed to flow through Sea Level. Gradually, Long Walk On A Short Pier began to take shape and the album almost complete. All that recorded was for a horn section to be overdubbed at Sea Saint Studio, in New Orleans. Then Long Walk On A Short Pier would be ready for release by Capricorn Records. Little did Sea Level know that all wasn’t well at Capricorn Records. The label was teetering on the verge of insolvency as promotional copies of Long Walk On A Short Pier were sent out. Sea Level were totally unaware of this. 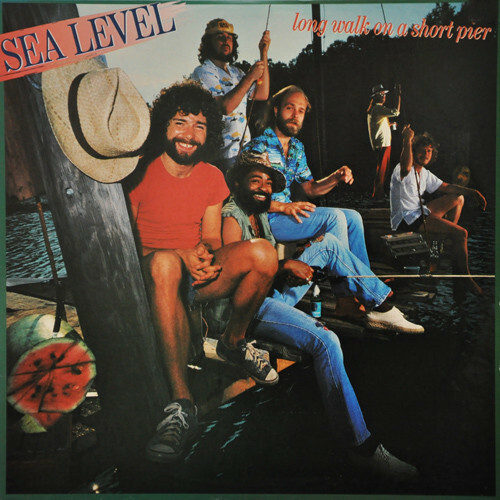 When reviews of Long Walk On A Short Pier were published, critics were impressed by Sea Level’s fourth album. Just like their previous album, Sea Level flitted between Southern Rock and fusion on Long Walk On A Short Pier. It was another accomplished album from Sea Level. Maybe it would’ve been the album that transformed their fortunes? It wasn’t to be. Just as Long Walk On A Short Pier was released, Capricorn Records went out of business. They were insolvent and had no option but to file for bankruptcy. For Sea Level, this was a disaster. Their fourth album was dead in the water. Copies of Long Walk On A Short Pier made it as far as distributors. That was as far as they got. Later, it became apparent that a few copies of Long Walk On A Short Pier made it into circulation. However, it wasn’t until 1998 that Long Walk On A Short Pier was heard by the wider record buying public. After Capricorn Records filed for bankruptcy, the future looked bleak for Sea Level. They had recorded an album that was never released properly. That cost the band time and money. They could’ve been touring, as Sea Level were still a popular draw on the live circuit. All the time, expense and effort that went into recording Long Walk On A Short Pier had been for nothing. Now they were left with no recording contract. Despite this, Sea Level decided to record a new album with producer Sam Whiteside, Ball Room. Having made the decision to continue, there was a change in Sea Level’s lineup. Percussionist and conga player David Earle Johnson left the band. He was replaced by percussionist Matt Greeley, who was about to make his recording debut. Before that, the members of Sea Level began work on writing their fifth album. Chuck Leavell wrote Anxiously Awaiting and Don’t Want To Be Wrong, while Lamar Williams contributed Struttin’. Randall Bramblett penned Wild Side, School Teacher, Comfort Range and Brandstand. He also wrote We Will Wait and You Mean So Much To Me with Davis Causey. These nine songs would become Ball Room, which was recorded at two studios. For the first time since Sea Level were founded, they weren’t heading to Capricorn Recording Studios to record an album. Instead, Ball Room was recorded at Axis Sound Studio and Web IV Studios. Engineer Sam Whiteside co-produced Ball Room with Sea Level. They put their considerable talents were put to good use on Ball Room. Onlookers witnessed Sea Level in full flight, with Chuck Leavell and Randall Bramblett sharing lead vocals. 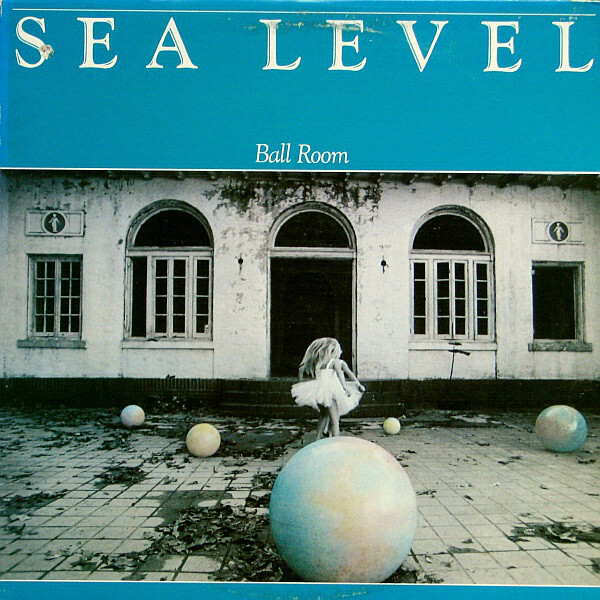 Once Ball Room was complete, Sea Level started shopping the album to record labels. Eventually, it was Clive Davis’ Arista Recorsd that expressed an interest in signing Sea Level. Clive Davis was the man with the Midas touch. He had transformed the career of countless artists and groups. Sea Level were hoping he could do the same for them. So they signed on the dotted line, and hoped that Clive Davis would work his magic. Later in 1980, Ball Room was scheduled for release by Arista. After five albums, they were at last, signed to a label with the financial muscle and expertise to get behind Sea Level’s fifth album Ball Room. Arista Records go to work on promoting Ball Room. Critics who were sent copies of Ball Room found Sea Level at the top of their game. The Southern Rock of Wild Side opened Ball Room, and set the bar high. Sea Level then kick loose on the anthemic bar room rock of School Teacher. Then there’s a drop in tempo on Comfort Range. It’s a mid-tempo, cinematic rocker that features one of Randall Bramblett’s best vocals. He brings the lyrics to life, and it’s possible to imagine the song’s protagonist as they live life on the edge. Anxiously Awaiting shows another side of Sea Level, as they drop the tempo on this rocky, ruminative and timeless ballad. After that, it’s all change. Struttin’ is an instrumental, where Sea Level enjoy the opportunity to stretch their legs and showcase their considerable talents as they fuse rock, jazz and funk. The tempo drops on We Will Wait, a quite beautiful, dreamy and atmospheric song. It features Sea Level at their best and most inventive, as they combine elements of rock and jazz. You Mean So Much To Me is a heartfelt pean, with a languid groove. There’s a nod to Hall and Oates, as pop, rock and jazz combine seamlessly. Don’t Want To Be Wrong is an uptempo and rocky love song where Chuck Leavell takes charge of the lead vocal, while Randall Bramblett adds alto saxophone. This proves a potent partnership. Then one of Sea Level’s finest ballads Bandstand, closes Ball Room. It was, without, doubt, one of the best albums of Sea Level’s five album career. When Ball Room was released, it followed in the footsteps of their previous albums, and failed to chart. For Sea Level this was a disaster. Things got worse when the lead single School Teacher never came close to troubling the charts. Sea Level were at a crossroads. As 1981 dawned, Sea Level realised that after five years and five albums, they were no further on. Sea Level had nothing to show for fives years of recording and touring. All that hard work had been for nothing. Part of the problem was Sea Level released their albums at the wrong time. If Sea Level’s five albums had been released earlier in the seventies, when Southern Rock was at the peak of its popularity then things would’ve been very different. Realising that music was changing, Sea Level tried to move away from their Southern Rock roots. 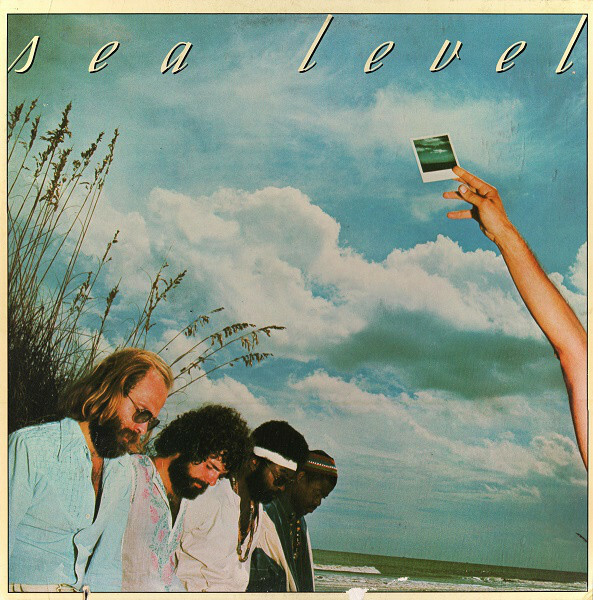 While Southern Rock featured on each of their albums, Sea Level’s first four albums headed in the direction of fusion, jazz-funk and even blues and rock. Then on Ball Room, Sea Level flit between Southern Rock to jazz, funk, pop and rock. They’re even transformed into a bar room band on School Teacher. It’s part of what was one of Sea Level’s most eclectic and best albums. Sadly, commercial success eluded Ball Room, which nowadays is an oft-overlooked hidden gem. Ball Room was Sea Level’s swan-song. They decided to call time on the band. There was only one problem. Over the last five years, Sea Level had run up some debts. They were in the red and the time came to settle their debuts. Sea Level had to embark on one more tour. When the venues were finalised, it was apparent that Sea Level were going to be playing mostly dive bars. Many of them were situated in low rent shopping centres. Realising this, Sea Level decided to call the tour the Shopping Centre Tour. That was the last laugh Sea Level enjoyed. The Shopping Centre Tour was a soul-destroying experience for Sea Level. They played dive bars and slept in the cheapest motels they could find. It was a miserable experience. Especially as Sea Level were only receiving expenses. Eventually, the tour was over and the band were free of their debts. That was the last time Sea Level played together as a band. They had been together seven eventful years, and released five albums that showcase a truly talented band. Sadly, the five albums Sea Level released failed to find an audience. It’s only now that Sea Level’s albums are starting to find a wider audience. One of their finest albums was Ball Room, which is an oft-overlooked hidden gem that features Sea Level in full flight and their inventive best. ← BUDGIE-WHAT MIGHT HAVE BEEN.